In this competition, Dezeen readers have the chance to win one of five signed copies of a book documenting the complete works of design studio Industrial Facility, and its founders Sam Hecht and Kim Colin. This competition is now closed. Congratulations to the winners, which are Melissa Bond from Edinburgh, UK, Adrian Jalily from Oslo, Norway, William Gardner from Swanbourne, Australia, Giovanni Bellinvia from Massafra, Italy, and Adriana Wysocka from Au, Switzerland. Industrial Facility is a 292-page visual narrative of the design firm's portfolio, offering a view into the minds of Hecht and Colin's creative partnership. It includes 400 colour illustrations. 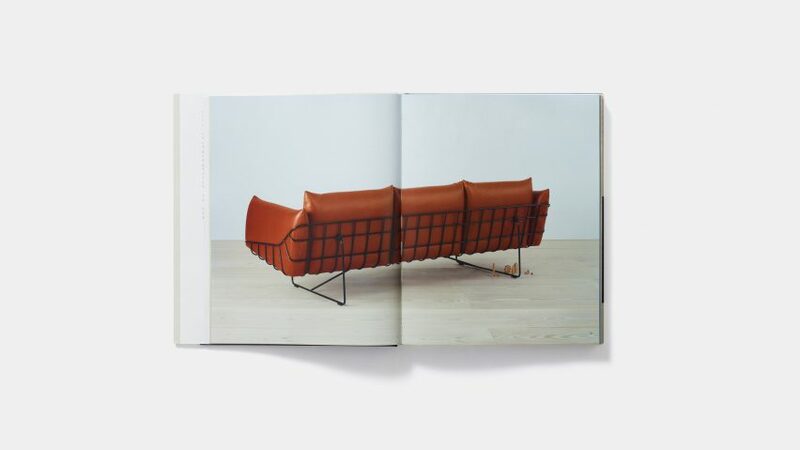 The book includes a foreword by writer Alain de Botton, and is interspersed with conversations with key collaborators and curators, including Bruce Mau, Naoto Fukasawa and Deyan Sudjic. An illustrated essay in the book written by Peter Kapos aims to delve deeper into the studio's philosophy. A collection of personal essays on design and detailed project notes also aim to demystify the studio's process, revealing how a dedicated office can have a significant impact on contemporary design. Since establishing their studio in 2002, Hecht and Colin have created items for a host of high-profile clients. For Mattiazzi, the duo designed a stackable Tronco chair for church congregations, a stool made through a combination of computer numerically controlled (CNC) milling and hand finishing, and a three legged-stool called Radice. The London studio also designed a modular seating system that hooks together to turn "a communal gathering area into a lecture theatre", mushroom-shaped Ode lamps, and an office furniture system that promotes interaction in the workplace, for US furniture company Herman Miller. Industrial Facility is published by Phaidon and is currently available to purchase. Competition closes 1 August 2018. Five winners will be selected at random and notified by email, and their names will be published at the top of this page.